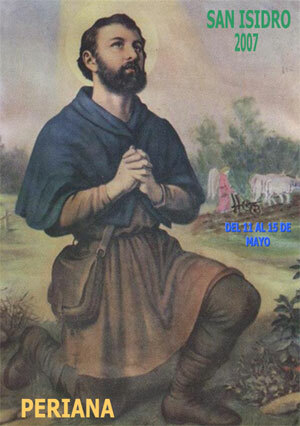 O holy Isidore and Maria, continue to intercede for those who work the fields and grow our daily food. Ask our Merciful God to continue to bless their efforts to produce abundant food and fiber. 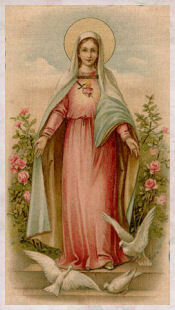 We ask your prayerful aid in the cultivation of the fields of our hearts. Help us through God’s grace to grow in holiness and accept the grace-filled opportunities God gives to us in our work, our marriages and our everyday lives. O holy Isidore, intercede with our Lord to send angels to aid us in opening our hearts so that one day, enlightened by God’s wisdom and having grown in God's likeness, we may join you and all the Saints in Heaven. 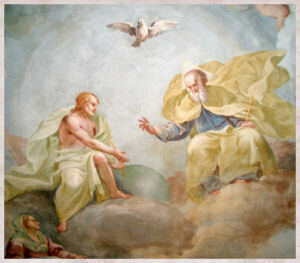 O Most Holy Trinity, you have created us out of your love. We pray that we will always recognize your presence in all that we are, all that we do, and all that we will become. Help us realize that your Message of Salvation is found in all of Creation -- the fields, the plants, living water, fresh air, all creatures, love for one another. 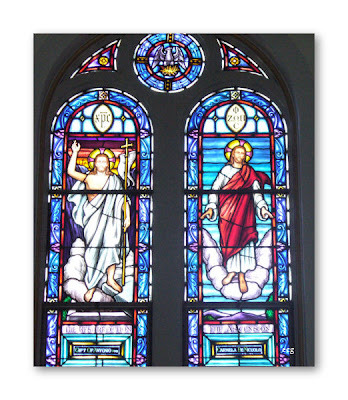 We await in joy and hope for the day, O Merciful God, when we will be united with You in your Heavenly Kingdom. Plenty of great photos and videos over at Caput Mundi The above video and photo are from Carlos' blog. Mahalo Carlos! Also be sure to click here to read Terry's post on the pilgrimage to Fatima. 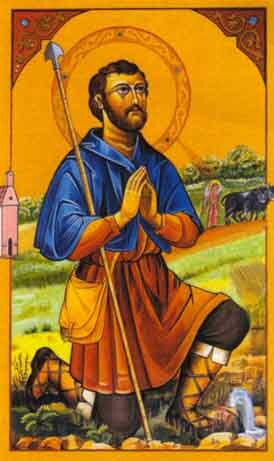 Today the Church commemorates the Feast of St. Matthias. He was the man chosen to replace the traitorous Judas. In his homily this morning Father Paul said that he did not want to take away any honor due to St. Matthias today. But if Judas had just believed in God's Mercy (His Divine Mercy), we would have been commemorating "St. Judas" and not St. Mattias. Thanks to Ed of In God's Company 2 for sharing these beautiful videos. From Brother John Samaha, S.M. Buffalo, NY. 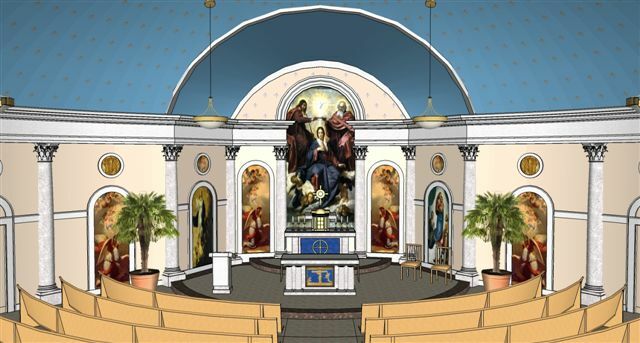 The Association for the Arch of Triumph of the Immaculate Heart of Mary today unveils new architectural plans [http://www.archoftriumph.org/archdesign.html] for the pro-life shrine and great triumphal arch, at 700 feet tall to be the world’s tallest monument, which the Association was formed to build in 2001. When Buffalo’s Common Council unanimously endorsed the project in 2002, the Association promised that it would be “built according to high standards of architectural beauty and integrity,” a promise clearly kept in the new official designs. Mary’s Arch of Triumph will point towards the “fundamental transformation” that America and the world truly need—a change of hearts and minds, more than of laws. It will sound a global signal call to repentance and conversion, renewed faith in God, and respect for human life from conception to natural death. 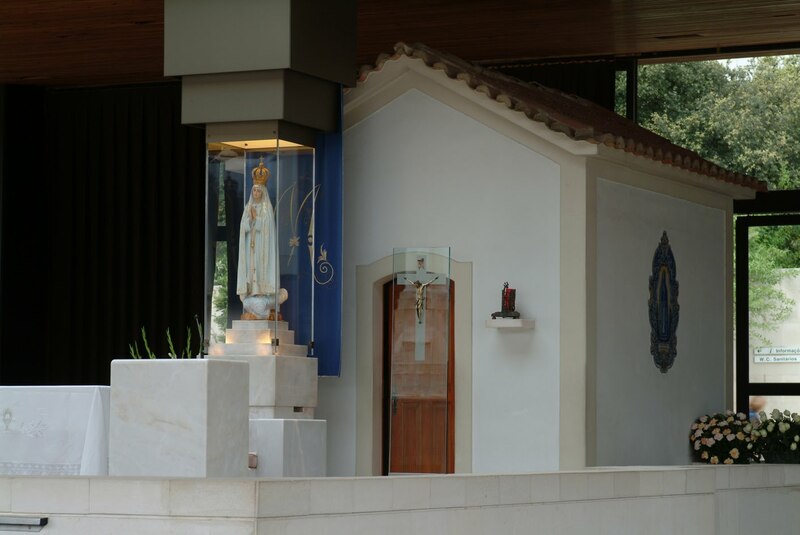 Originating with a dream, this great spiritual undertaking quickly gained worldwide support among Mary’s faithful, and has been approved by many Catholic pro-life leaders [http://www.archoftriumph.org/excerpts.html], including Fr. Frank Pavone, Fr. John Corapi, Mrs. Judie Brown, Dr. John Willke, and Knights of Columbus Supreme Knight Carl Anderson. 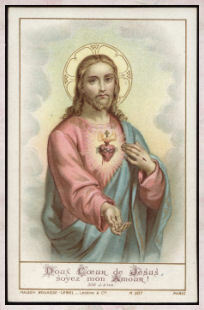 The project evokes Mary’s revelations at Fatima on July 13, 1917, “God wishes to establish in the world devotion to my Immaculate Heart,” and that, “In the end my Immaculate Heart will triumph . . . and an era of peace will be granted to the world.” This great arch hails this coming triumph of Mary’s Immaculate Heart. It will be 700 feet tall because seven is the biblical number of perfection, and Mary represents the perfection of humanity because of her humble obedience to God. Mary is revered also by Muslims, who believe in Mary’s perpetual virginity; indeed, Mohammed said that Mary enjoys the highest place in heaven of all women. 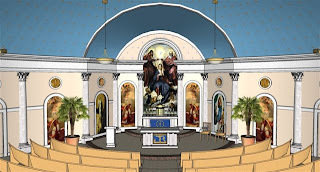 The Association is raising funds (projected cost: $85 to $100,000,000) through its Web site [http://www.archoftriumph.org] and a mail campaign, and is searching for a site in the Diocese of Buffalo, NY where the Pilgrim Virgin Statue of Our Lady of Fatima, entered America triumphally on December 8, 1947 when “200,000 people lined the streets and welcomed Our Lady” [see History page at http://www.pilgrimvirginstatue.com]. The Association had desired to locate the shrine on waterfront land on Fuhrmann Blvd. adjacent to the U.S. Coast Guard Station, but has learned that the parcel is now under contract for sale to another. Mary's gloroius Arch of Triumph of is destined quickly to become an international icon, boldly though silently proclaiming the dignity and sanctity of human life, born and unborn, and extolling the oft-neglected virtues of purity, faith and obedience to God. Thank you for saying what needed to be said Father Trigilio! for the offenses with which they return your love. 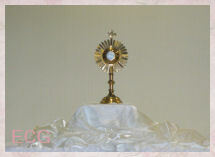 Obtain for them and for us the pardon of so many sins. and will not fall into hell. and develop our human potential to its fullest. to achieve a better life on this planet. who awaits us with you and the Holy Spirit. we ultimately will come-if we are faithful. Amen. 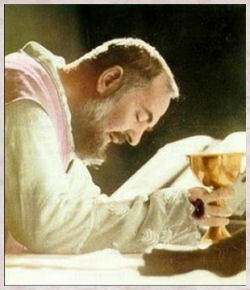 You can watch a treasure trove of EWTN videos Here. I have heard him speak on The Abundant Life with Johnette Benkovic. Yes, I could have posted videos and pictures here. But why bother when Carlos of Caput Mundi has done a marvelous job! Mahalo Carlos. During his pilgrimage to Fatima, Pope Benedict XVI has laid heavy emphasis on the general content of the message that the Virgin Mary delivered during her appearances there, notes John Allen of the National Catholic Reporter. 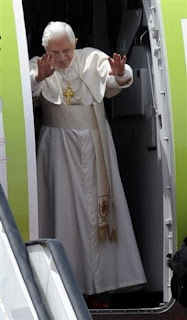 The Pope has not entered into the often heated discussion of the 'third secret' and its historical implications. 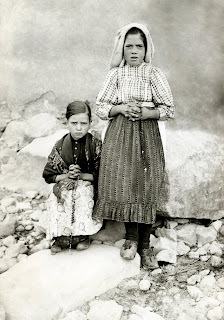 "Benedict, in other words, seems more interested in Fatima’s spirit than its secrets – all part of his 'Marian Cool.'" 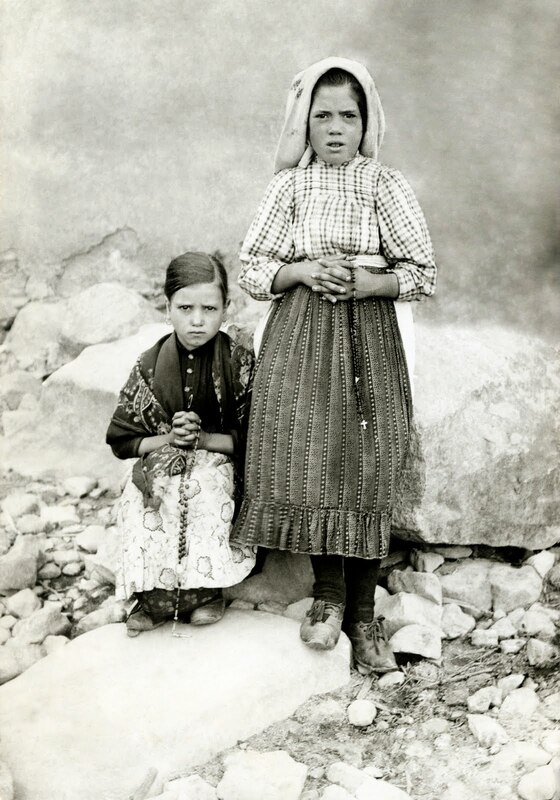 Photo Source: Idle Speculations' Images of Fatima post. Thanks Terry. 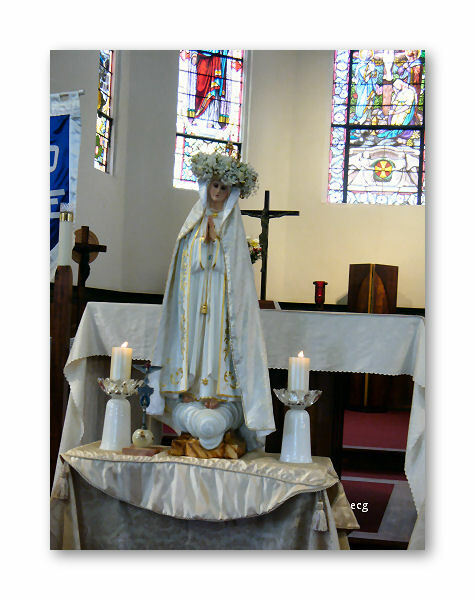 Arriving at Fatima on Wednesday, May 12, Pope Benedict XVI consecrated all of the world's priests to the Immaculate Heart of Mary. 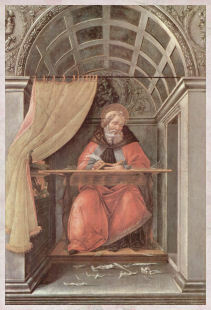 Addressing himself to the Virgin, and speaking on behalf of all the world's 400,000 priests, the Holy Father said: "Help us, through your powerful intercession, never to fall short of this sublime vocation, nor to give way to our selfishness, to the allurements of the world and to the wiles of the Evil One..."
This is Pope Leo XIII. 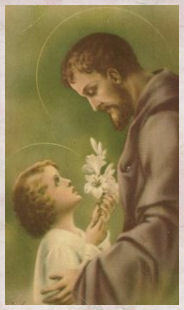 He is the same holy father that St. Therese of Lisieux went to Rome to see and to ask for his help in entering the convent. BTW, the voice you hear is Pope Leo XIII chanting the Ave Maria in Latin. 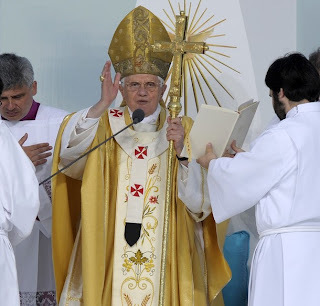 Photo Source: Caput Mundi and make sure to check out Carlos' blog for coverage of Pope Benedict's visit. I finally saw VV Visions, Inc.'s newest film on Father Damien. It is a long story but I was supposed to have watched and reviewed the documentary a few months ago. 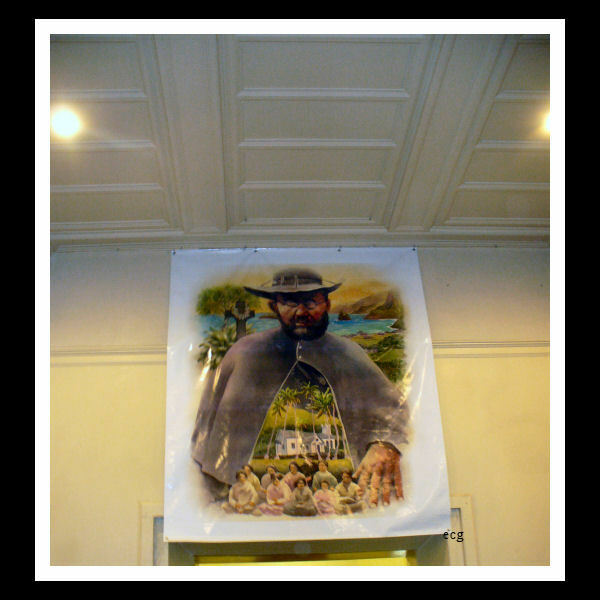 The film opens up with a cheering crowd in Rome on the day of Father Damien (Joseph) De Veuster's canonization, on October 11, 2009. The crowd is cheering because Pope Benedict XVI has arrived. The viewer soon realized the crowd focused on is made up of the Hawaii pilgrims who have traveled a long distance in order to be a part of history. They wanted to honor Hawaii's beloved "Kamiano". The film is well made. The executive producers have taken footage of the scenes prior to the canonization itself, the canonization, the events in Belgium and other parts of Italy, leading to the canonization as well as scenes closer to home in Hawaii, where St. Damien day was celebrated on November 1, 2009. 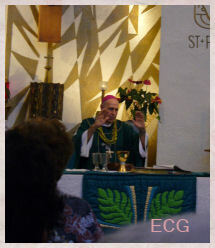 Visibly present throughout the film is Hawaii's own beloved shepherd, Bishop Larry Silva of the Diocese of Honolulu. You can clearly see the love and pride in his countenance when he spoke of Father Damien and Hawaii. One quote that particularly struck a chord with me was when Bishop Larry reminded us that this is the Year of the Priest. He said that Saint Damien is a: "...great saint for all the priest in the world..."
A touching moment in the film is when Hawaii's own Mrs. Audrey Toguchi walks holding on to the arm of her doctor for the presentation of Saint Damien's relic. 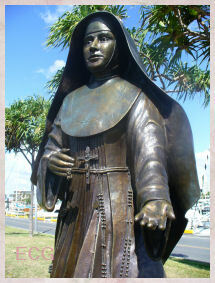 How fitting that God would choose a resident of Hawaii, as His instrument in making Father Damien a saint! Then there is the moment when all present hear the words by Pope Benedict, that they have longed to hear with regard to Father Damien becoming a saint, "We decree it!" Throughout the film, there are interviews by several people who shared interesting stories regarding either Father Damien's life or the canonization process. People such as the General Postulator, Reverend Alfred Bell, SS.CC., the Superior General of the Sacred Hearts Father, Bishop Silva, Fr. 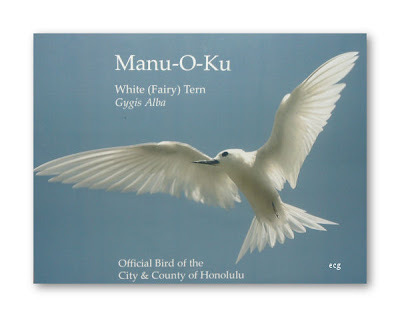 Clyde Guerrero, the residents of Kalaupapa, etc. - Father Bell said something very profound. 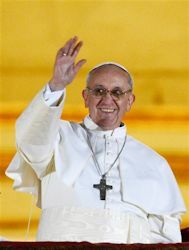 He said: "We cannot follow the same life after the canonization." - Bishop Silva spoke about how we create our own little Kalaupapas as a way of putting certain people there whom we do not want to deal with. Considering the growing number of homeless in Hawaii, who are treated as outcasts, Bishop Larry's statement is very poignant. 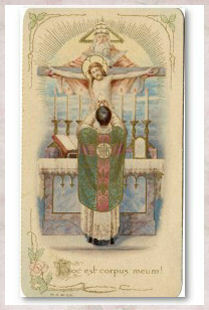 - Later, Bishop Larry spoke of St. Damien's joy of being a slave of Jesus Christ. - It was sad to learn from one of the Kalaupapa residents was that the thing he felt the loss of more than anything, was the loss of his family... his ohana. - Father Clyde, pastor of the churches on Moloka'i, spoke of the Kalaupapa being a place of spirituality. As a person who has been there three times, I certainly agree with that statement. If I had to find the weak point in the film, I would have to say it was the tribute paid by the Belgium people in the Damien Inspires program. To their credit though, I think they were trying to please the English speaking pilgrims with their choice of entertainment. I would have like to have seen a traditional Belgium song and dance instead of listening to another rendition of "The Rose". On the other hand, the Hawaiian tribute was incredible! One of the halau performed the hula to the Hawaiian chant which I believe is entitled "O Kamiano". 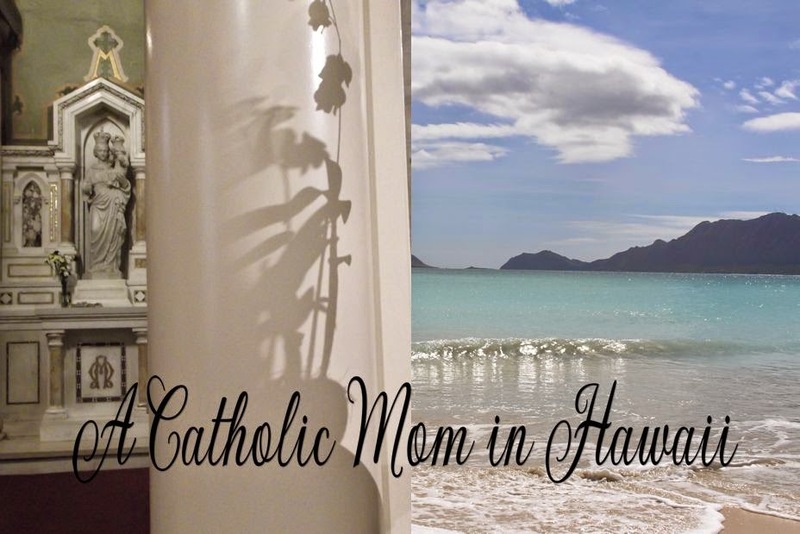 The film ends with the celebration with Holy Mass, a tribute at Iolani Palace, and finally the enshrinement of Saint Damien's relic at the Cathedral of Our Lady of Peace. As I mentioned above, this is a well done documentary, but it is also a lovely documentary. The beauty of the Hawaiian people is depicted time and time again. These pilgrims brought the aloha spirit in form of the leis they shared with the bishops and cardinals, the hula they danced in honor of Father Damien and just the way they are made this film a joy to watch. I strongly urge those of you who are interested in Saint Damien, (and who isn't?) to obtain the DVD. I believe Pauline Books in Media will be selling them. 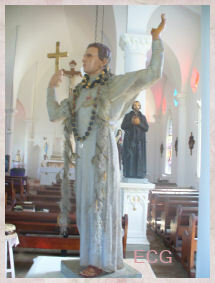 Here is a video I using the photos I have taken of Saint Damien in Hawaii. Enjoy.